Hi! I´m an English native speaker living in Austria. 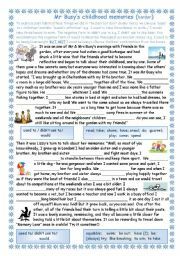 I´ve been teaching English at an adult education centre for several years now. I´m really amazed about the quality of some of these contrbutions and I´m enjoying being part of this community. 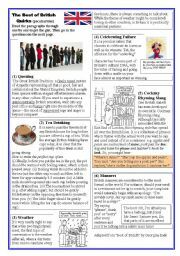 A set of British peculiarities which will bring a knowing smile to any native and insight to everyone else, into some of the little things which all add up to you catching a glimpse of what "Britishness" is all about. The texts have been taken and adapted from a book by Georgina Eade called Best of British. I´ve added exercises to each text. 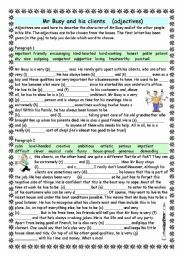 In this episiode of Mr Busy focus is laid on adjectives describing his character and personality. A gap text with answer key. 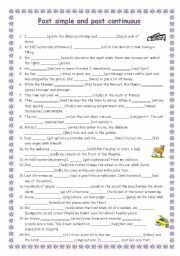 A gap fill exercise to practise choosing the right form of the verb after the grammar and signal words have been taught. An answer key has been added. 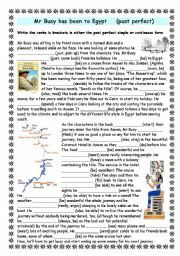 A gap text exercise focusing on the difference between the two tenses. Many of the sentences refer to stories in a book we´re reading at the moment - The Tangled Web - (Oxford Bookworms) - a set of short stories for advanced readers (to recommend). Will men dominate the future? Mr Busy has come back from Egypt and is reflecting on his holiday. He had taken the same cruise as the characters in Agatha Christie´s "Death on the Nile" and was happy that there had been no murders on his trip. Past perfect verbs (either simple or continuous) are to be written in the gaps. An answer key has been added. An explanation, examples and questions focusing on used to/be/getused to +ing form - with answer key. 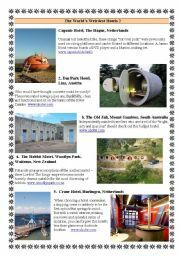 Another set of weird and wonderful places to stay for someone who likes to try something different. Authentic texts taken from the Daily Telegraph. Links for further reading. 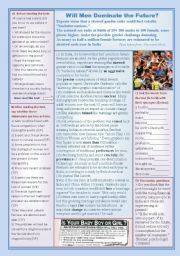 Discussion points, language exercises and comprehension questions have been added. 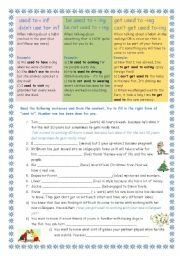 A revision exercise on the present and past tenses - simple and continuous forms.Answer key provided.